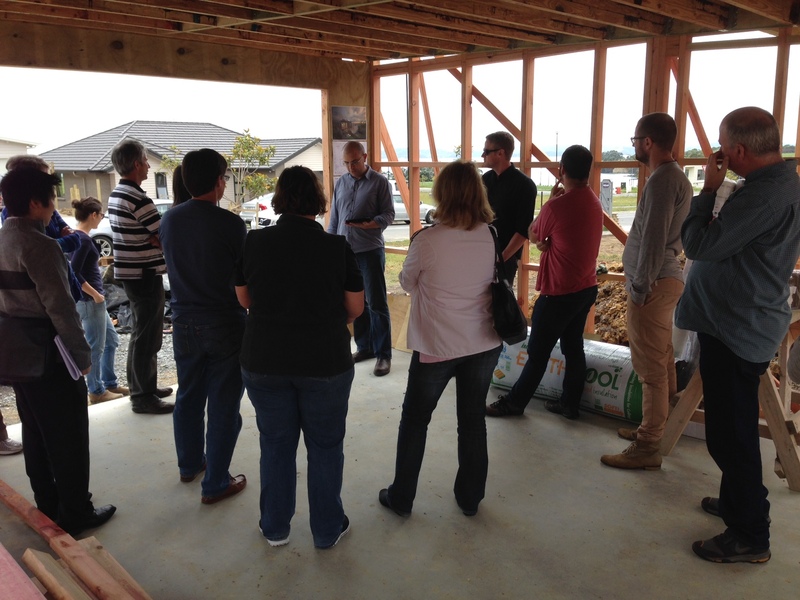 In celebration of International Passive House Day, Andy Ong of the Passive House Institute of New Zealand (PHINZ) organized a site tour of the IDEAL house. We had a good turnout, and interesting presentations by Matt Wilson, our architect from S3 Architects and by Andy, regarding Passive Houses. We had lots of interesting questions and discussions around energy efficient construction and design. Fortunately, our midfloor had been laid earlier in the week so everyone who wanted was able to climb up to see the layout and the views from the top floor. 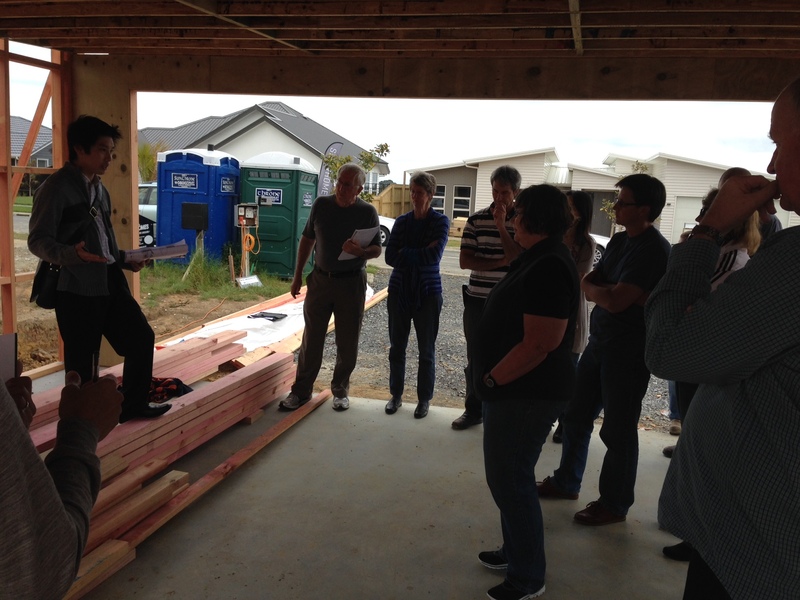 Lots of people interested in Passive Houses! We have a shiny new badge for our blog – an 8 star for our newly awarded 8 Homestar Design rating! Thanks to the hard work of Matt Wilson at S3architects, who has been handling all aspects of the design and submission, we’ve been recently confirmed to have received an 8 star rating for the design of our house. There are only a handful of comparable homes in the country, so we’re feeling really proud! Now that we’ve patted ourselves on the back, where were our weaknesses? Size of the house in relation to number of bedrooms. We nipped and tucked, trimmed and tweaked until we just couldn’t compromise any further. In our defence, the rectangle-like construction of the building (to minimise thermal breaks for Passive House compliance) made it a bit more difficult to trim size from just one room; rather, a trim of one room affected pretty much the whole of the house. No greywater system. These systems are nigh-on impossible to get through Auckland Council and, quite honestly, we had to draw the line somewhere. All in all, we were appreciative of the holistic approach of the Homestar rating system. 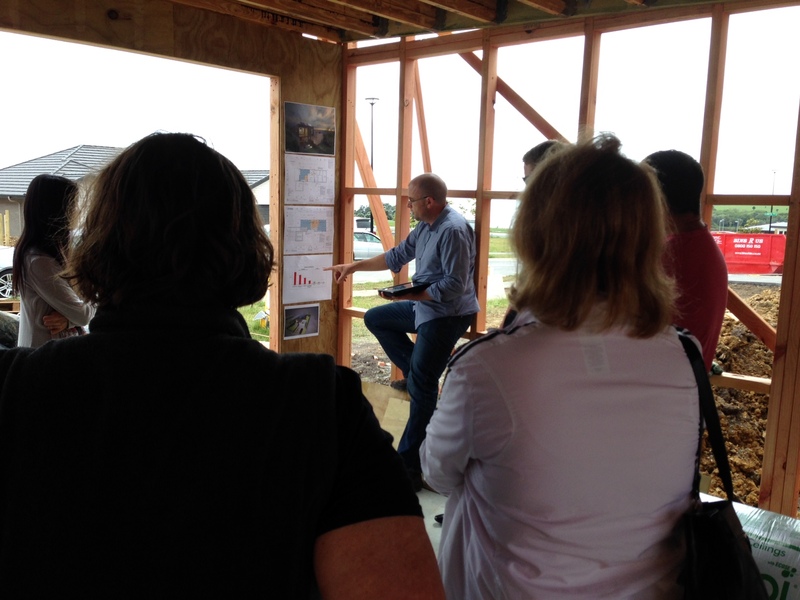 It helped us carefully consider each aspect of the build and guided us towards making sustainable and energy-efficient choices to create a high-performing home. 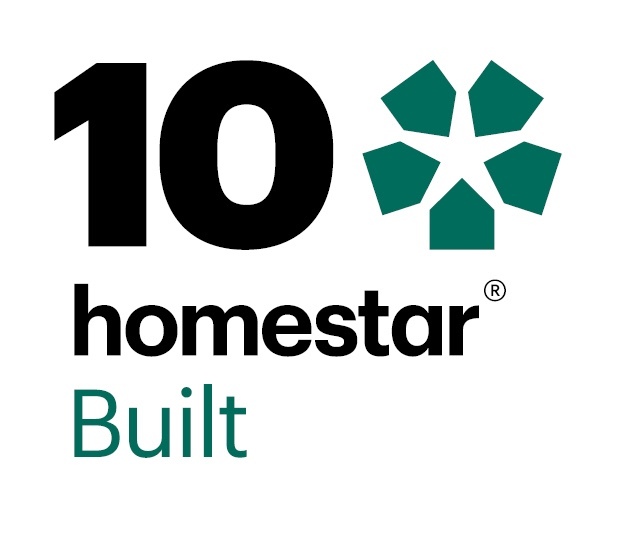 If you’re interested in learning more about Homestar, there is plenty of helpful information on their website, including a tool which allows you to obtain a rating on your existing home.